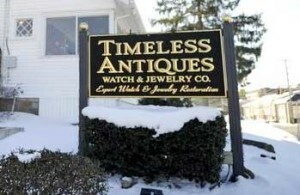 Expert watch and jewelry design and restoration done on premises. We purchase gold, sterling silver, diamonds, and art. Owner Gary Epstein can assist you with your estate sale and will make house calls to assess your art and collectibles. Owner and in-house jeweler, Robert Cohen, has 38 years of watch and jewelry restoration and design experience. Come visit our gallery space within the store where we proudly display the works of local artists. Please view our videos and profile online. If you have any questions or comments please contact us at 508.580.3650 or email.